You are here: Home / Startup & Funding Tips / Should We Be Practicing SAFE Investments? 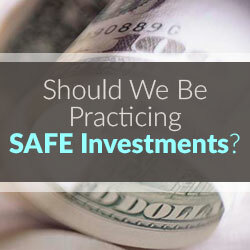 Should We Be Practicing SAFE Investments? In the world of startups, innovation is king. That extends to innovative methods of financing. While convertible notes have long been the preferred method of fundraising for both investors and early stage startup companies, Y Combinator’s SAFE (Simple Agreement for Future Equity) offers a streamlined, innovative option for seeding companies. But is a SAFE ideal for everyone? In a standard SAFE, the investor and the company agree on a valuation cap and mutually sign and date a SAFE. Then, the investor sends his or her money to the company. After that, nothing happens until a specific triggering event (i.e., an equity financing round, liquidation, or dissolution) converts the investment into equity. One negotiable term, five pages, and the deal is done. Other versions of the SAFE are available for those who would rather negotiate the investor discount, or would prefer to negotiate both the valuation cap and the discount. There is also a most favored nations version for those that want to make sure they remain on par with other investors. In addition to being simpler to negotiate than convertible notes, a SAFE does not function as a debt instrument. The SAFE seems like an excellent option for entrepreneurs looking for early stage investments. 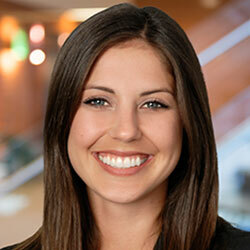 It is simple and straightforward, eliminating much of the confusion that can be generated by convertible note terms. Its simplicity also allows for a quick and painless negotiation, minimizing time to financing, transaction costs, and legal fees. But most importantly, because the SAFE is not a debt instrument, companies don’t need to worry about maturity dates and don’t need to account for interest rates. However, as ideal as a SAFE seems for a new company, it may not be as appealing to investors. From the investor perspective, the appeal of a SAFE depends on how one views the role of an investor in early stage financing. If an angel investor is truly an “angel,” the elimination of interest accrual and the necessity of an investor acting as a lender holds a lot of appeal. However, if an investment is about high risk and high rewards, the SAFE might not do enough to incentivize investors. For one, given that there is no maturity date on a SAFE, it is possible that the investor could never see the triggering event that converts his or her money into equity (for example, if the company does so well following its seed financing that it never enters an equity financing round). Further, the lack of interest rates on a SAFE means that the early investor is not rewarded for his or her risk with a greater share of equity if and when the investment converts. On the other hand, with a convertible note, if a company is too slow to reach a triggering event, an investor can choose to renegotiate and extend the maturity date or can force a payoff. Convertible notes also present the risk that an investor could bankrupt a nascent company before it has had time to establish itself. Despite the advantages of a SAFE, a company may still want to consider convertible notes as their primary financing mechanism, given that SAFEs are still relatively untested and that convertible notes offer a more appealing reward to investors. A seasoned investor will likely prefer to use a convertible note over a SAFE, which means that companies wishing to attract such investors would be wise to consider the financing strategy from the investor perspective. Novice entrepreneurs may also benefit from the historical data and myriad information available on working with convertible notes compared to the relatively young SAFE. Because every financing arrangement is unique, there is no cut and dry answer as to whether a SAFE is better than convertible notes, or vice versa. Generally, a SAFE is friendlier to companies than it is to investors, and it is certainly more beneficial for a company than a convertible note arrangement. However, because investors tend to hold the leverage in financing startups, the appeal of convertible notes over SAFEs may mean that startups don’t have much of a say in the matter. The good news is that both vehicles accomplish the same goal: allowing those with money to invest in those with ideas. Katy Spillers is a Partner at Greenberg Glusker in Los Angeles who handles a broad range of business transactions involving general corporate, tax, and intellectual property matters with an emphasis on counseling clients on formation and tax structuring, growth strategies including debt and equity financings, acquisitions and joint ventures, as well as liquidity events such as asset or stock sales and mergers. The clients Katy represents include entrepreneurs, start-up companies and middle market companies in a wide range of industries such as technology, consumer goods, entertainment and sports and real estate. 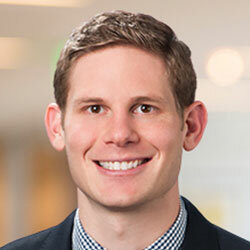 Eric Perlmutter-Gumbiner is an Associate at the firm who represents clients in a wide variety of general corporate and transactional matters, ranging from entity formation and structuring, to equity financings and mergers and acquisitions. Additionally, he advises companies across a broad range of business sectors, including technology, sports and entertainment, food and beverage, healthcare and manufacturing. Very insightful! We’ve gotten some pushback from client investors as well on SAFEs. Thank you both for this great content.